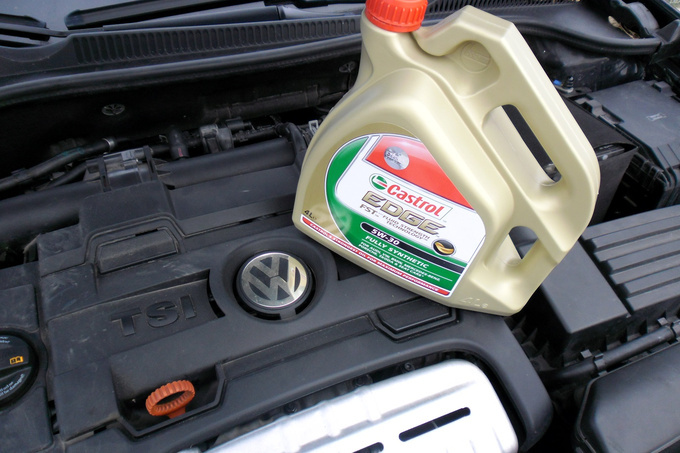 Totalcar Magazine - Tech - Are TSI engines overcomplicated? My next patient is a 2009 Volkswagen Golf VI 1.4 TSI. This car is the living proof that there is such a thing as an everyday luxury compact vehicle: it has 160 PS, a dual clutch gearbox and a highly sophisticated interior. It also has some sort of a bug that won't allow the engine to rev over 3200 rpm. While it won't suffice in itself, reading the on-board diagnostic unit and checking 'live data' is an indispensable part of properly pinpointing any automotive trouble. Any information you get from here should be taken with a pinch of salt though because the error codes generated by any failure are often not related to the part or component causing the problem. Because this happens all too frequently I prefer to take traditional measurements using simple tools like a multimeter, an oscilloscope or gauges. Before I continue to describe the process of uncovering faults, let me recap how the air intake system of an engine works. This particular engine (as any other, really) was engineered as a function of customer expectations and environmental regulations. These expectations (namely, high power in a broad rev range, modest emissions, and relatively low fuel consumption) were met by installing a combination of an exhaust-driven turbocharger and a mechanical supercharger, while fuel is delivered by means of direct petrol injection. In this instance we'll be focusing on this precisely regulated air intake system. Regardless of engine load, fresh air always enters the engine via an air filter (1). Driver intent - ie. how hard you push the accelerator - is a primary information for the engine control unit. Depending on the operational phase, the charge is delivered by either the turbocharger or the supercharger, the latter being driven off the direct-drive water pump via a belt drive controlled by a magnetic clutch. When both rpm and engine load are low, the mechanical supercharger (2) remains inert, the magnetic clutch (11) disconnects from the output shaft of the water pump. The air flap (3) is fully open, and the turbocharger can deliver enough air to the engine with the wastegate valve (13) - a valve that can release excess exhaust gases via the controlling vacuum drum (14) and its magnetic valve (15) - partially open. 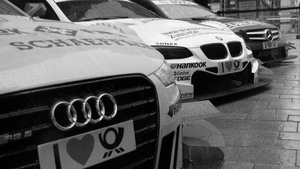 From the turbocharger (12), the air will pass through the water-cooled intercooler (6) and the throttle valve (8) into the cylinders. 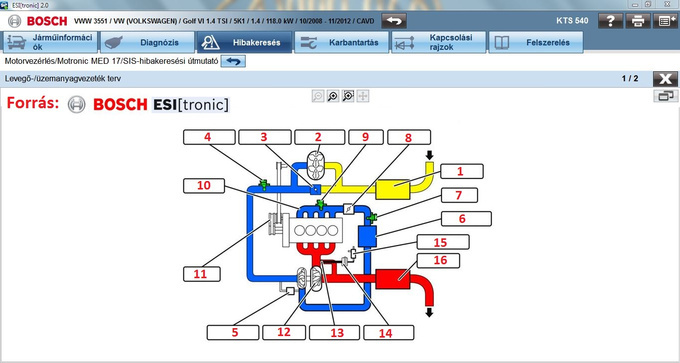 The degree to which the wastegate valve (13) and the throtle valve (8) are opened is governed by the ECU based on signals received from the boost pressure (7) and manifold air pressure (9) sensors. The amount of fuel injected is calculated based on the momentary rpm and manifold air pressure (or vacuum) values, with engine and intake air temperatures taken into consideration. Signal from the lambda sensor is considered as a corrective value. At low to mid ranges accompanied by high engine load, the magnetic clutch on the water pump shaft is instructed by the ECU to engage and will thus begin to drive the mechanical supercharger (2) via the belt drive. The air flap (3) is fully closed now. 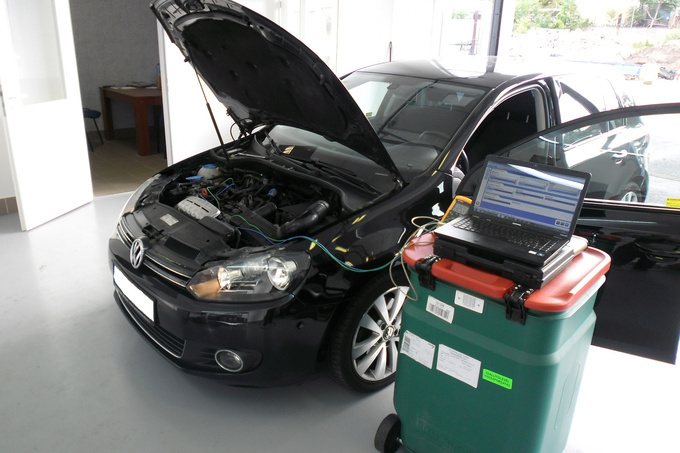 The supercharger pressure sensor senses an increase in the air pressure and notifies the ECU. The turbocharger wastegate (13) is fully closed. Above around 3500 rpm the supercharger stops working, regardless of engine load because at this rev range the turbocharger alone can supply enough air to the engine. The air flap is controlled by the ECU in unison with the supercharger - the valve closes when the supercharger is operational so that the pressurised air cannot reenter the airbox. The wastegate valve (13) controls boost pressure: when the valve is open, there is less exhaust gas driving the turbine wheel. That means the compressor wheel is driven slower, resulting in lower charge pressure. Closing the wastegate valve will increase turbo pressure, proportionally to the amount of exhaust gas. The air return valve (5) is, by function, an electrically driven wastegate valve. It is needed when abrupt shifts occur in engine load, such as during gearshifts, otherwise the turbocharger could generate excessive pressure that could potentially damage the throttle valve. Also, without the return valve the air mass rebounding from the throttle valve could slow down the turbocharger. That would hinder the build-up of boost pressure after each gearshift, resulting in slower throttle response. This has been a crude simplification of how the air intake system works in an engine. Other engine systems include fuel injection, ignition, various emission control systems, rpm-dependent camshaft position control system, and coolant temperature control system. After a bit of disassembling I could access the electrical connector of the magnetic clutch. 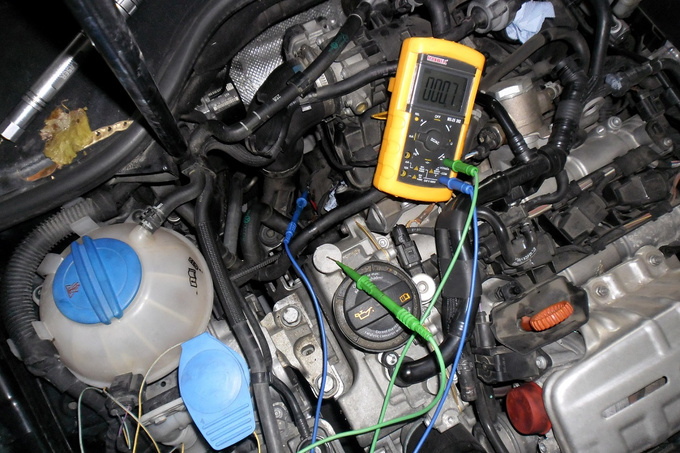 I set the DMM (multimeter to most) to measuring resistance, and I connected one cable to the engine block and the other to the clutch connector. Bingo: the device was short circuited, with the DMM displaying a resistance value of almost zero Ohms. 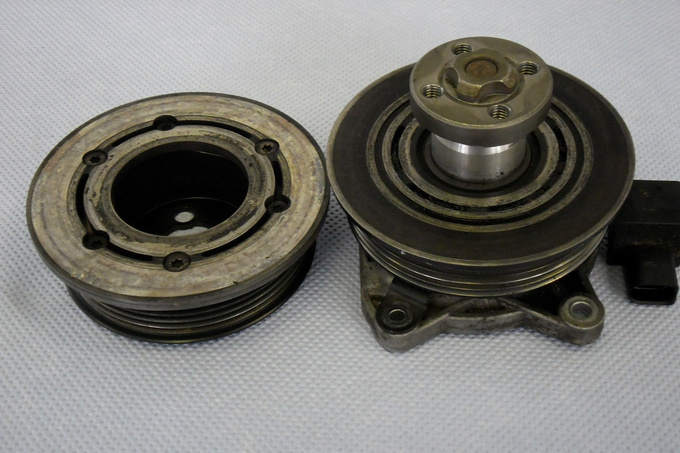 The belt pulley on the left drives the water pump shaft through a fixed drive; while the belt pulley driving the supercharger is only driven on demand. The advantage of this system is obvious: mechanical losses only occur when you need to drive the supercharger. However, in this case the clutch fried; you could not even turn the pulley with a hand. The Golf was revived as soon as it received a new water pump. During the test drive I had to admit that there is a certain charm to this overpowered, overspecced hatchback. Although the repair bill was not horrendous the engineering content is complex enough to warrant unexpected repairs at virtually any moment. Don't forget this when you are looking át similar cars on the used car market.